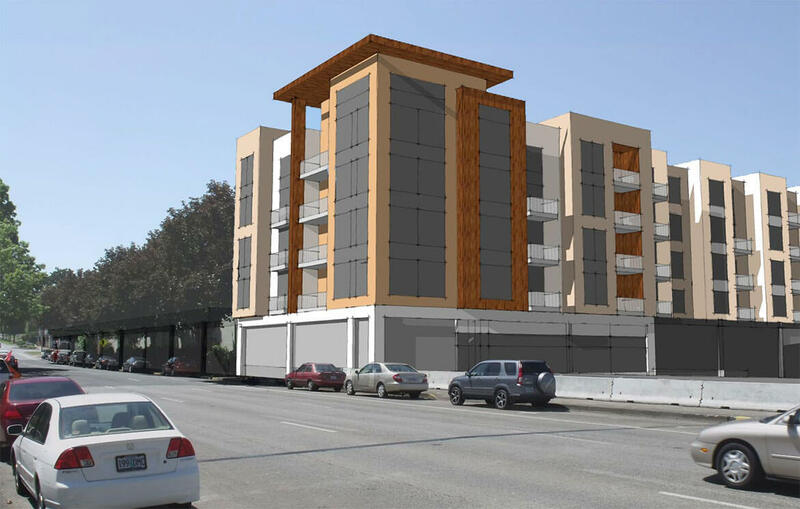 As an entry in a conceptual design competition, this mixed use/multi-family project features four stories of upscale apartment/condo units with the first floor reserved for various retail / office space and convenient on-site, underground parking. Located on approximately 5 acres of waterfront property, the building spans 120,000 SF with roughly 24,000 SF footprint to include over 100 units. The L-shaped building takes advantage of the waterfront views. To modernize the project, Lenity incorporated stucco, lap siding and wood into the residential contemporary architectural design.